The Securities and Exchange Commission on July 30,2014 announced charges against the CEO and former CFO of a Florida-based computer equipment company for misrepresenting to external auditors and the investing public the state of its internal controls over financial reporting. 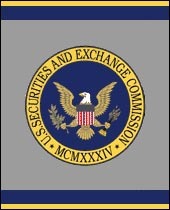 The SEC’s Enforcement Division alleges that CEO Marc Sherman and former CFO Edward L. Cummings represented in a management’s report accompanying the fiscal year 2008 annual report for QSGI Inc. that Sherman participated in management’s assessment of the internal controls. However, Sherman did not actually participate. The Enforcement Division further alleges that Sherman and Cummings each certified that they had disclosed all significant deficiencies in internal controls to the outside auditors. On the contrary, Sherman and Cummings misled the auditors – chiefly by withholding that inadequate inventory controls existed within the company’s Minnesota operations. They also withheld from auditors and investors that Sherman was directing and Cummings participating in a series of maneuvers to accelerate the recognition of certain inventory and accounts receivables in QSGI’s books and records by up to a week at a time. The improper accounting maneuvers, which rendered QSGI’s books and records inaccurate, were performed in order to maximize the amount of money that QSGI could borrow from its chief creditor. Cummings agreed to settle the charges, and the SEC’s Enforcement Division will litigate its case against Sherman in a separate administrative proceeding. According to the SEC’s orders for the administrative proceedings, QSGI’s efforts in 2008 to introduce new internal controls to the operations at its Minnesota facility largely failed. The deficiencies existed throughout that fiscal year and continued until the company filed for bankruptcy in July 2009. QSGI failed to design inventory control procedures that took into account the existing control environment, such as employees’ qualifications and experience levels. For example, sales and warehouse personnel often failed to document their removal of items from inventory. When they did prepare the paperwork, accounting personnel often failed to process it and adjust inventory in the company’s financial reporting system. The SEC’s Enforcement Division alleges that in management representation letters and other communications with QSGI’s external auditors, Sherman and Cummings claimed they had disclosed all significant deficiencies in internal controls over financial reporting. Yet they did not disclose or direct anyone else to disclose the ongoing inventory and accounts receivable issues, nor did they disclose the improper acceleration of recognition and the resulting falsification of QSGI’s books and records. In fact, Sherman and Cummings withheld information from the external auditors. Had they disclosed the deficiencies and the circumvention of inventory controls as well as the improper acceleration of accounts receivable and inventory recognition, the auditors would have changed the nature, timing, and extent of their procedures in conducting the audit of QSGI’s financial statements. According to the SEC’s orders, Sherman and Cummings signed a Form 10-K and Sherman signed a Form 10-K/A each containing the false management’s report on internal controls over financial reporting. And each signed certifications required under Section 302 of the Sarbanes-Oxley Act in which they falsely represented that they had evaluated the report and disclosed all significant deficiencies to the auditors. The SEC’s Enforcement Division alleges that Sherman violated Sections 10(b) and 13(b)(5) of the Securities Exchange Act of 1934 and Rules 10b-5, 13a-14, 13b2-1, and 13b2-2. Sherman also is charged with causing QSGI’s violations of Exchange Act Sections 13(b)(2)(A) and 13(b)(2)(B). Without admitting or denying the SEC’s findings, Cummings consented to a cease-and-desist order finding that he willfully violated Sections 10(b) and 13(b)(5) of the Exchange Act and Rules 10b-5, 13a-14, 13b2-1, and 13b2-2. The order also finds that he caused QSGI’s violations of Exchange Act Sections 13(b)(2)(A) and 13(b)(2)(B). Cummings agreed to pay a $23,000 penalty, and to be barred from serving as an officer and director of a publicly traded company for five years. Cummings also agreed to be suspended for at least five years from practicing as an accountant on behalf of any publicly traded company or other entity regulated by the SEC. The SEC’s investigation was conducted by Victor Tabak, Ryan Farney, and Bertram Braganza, under the supervision of Nina B. Finston. Mr. Farney, Mr. Tabak, and Ms. Finston will handle the litigation against Sherman with assistance from Britt Biles.